Miranda and Adam, high school sweethearts now in their late fifties, arrive by chance at the same time in Rome, a city where they once spent a summer deeply in love. At an awkward reunion, Adam suggests that they meet for daily walks and get to know each other again. Both have their own sense of who betrayed whom and long-held interpretations of the events that caused them not to part. But gradually, as they take in the pleasures of the city and the drama of its streets, they discover not only what matters to them now but also what happened to them long ago. 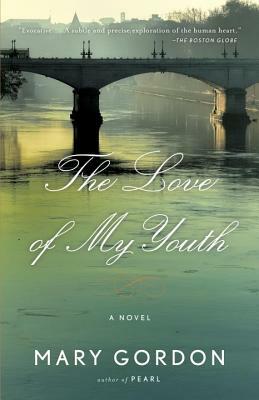 From acclaimed author Mary Gordon, The Love of My Youth is a poignant look at first love, at the hopes and dreams of a generation, and at what became of them. Mary Gordon is the author of six previous novels, two memoirs, a short-story collection, and Reading Jesus, a work of nonfiction. She has received many honors, among them a Lila Wallace–Reader’s Digest Writers’ Award, a Guggenheim Fellowship, an O. Henry Award, an Academy Award for Literature from the American Academy of Arts and Letters, and the Story Prize. She is the State Writer of New York. Gordon teaches at Barnard College and lives in New York City.